We don’t have animals that can kill you at any time where I come from. The most dangerous animal in Denmark is probably an angry deer. My name is Jeppe, I am 19 years old and from Denmark. I arrived at the ranch 3 months ago as a guy who thought he knew everything about wildlife and how to act in nature, but I didn’t. How different could the wildlife here in British Columbia be anyways? Responsibility, what does it even mean and how important is it out here where people trust you with their business and life? This is just some of the big questions I answered the first weeks of being at the ranch. I love nature and the wilderness, no doubt about it, but the nature and wilderness in Denmark is so much different from BC. The nature and wilderness is most amazing but also the most challenging I have ever experienced. The challenging part is actually just about one animal. The bear, which was the biggest game changer for me. I remember the first time I saw a bear as it was yesterday. 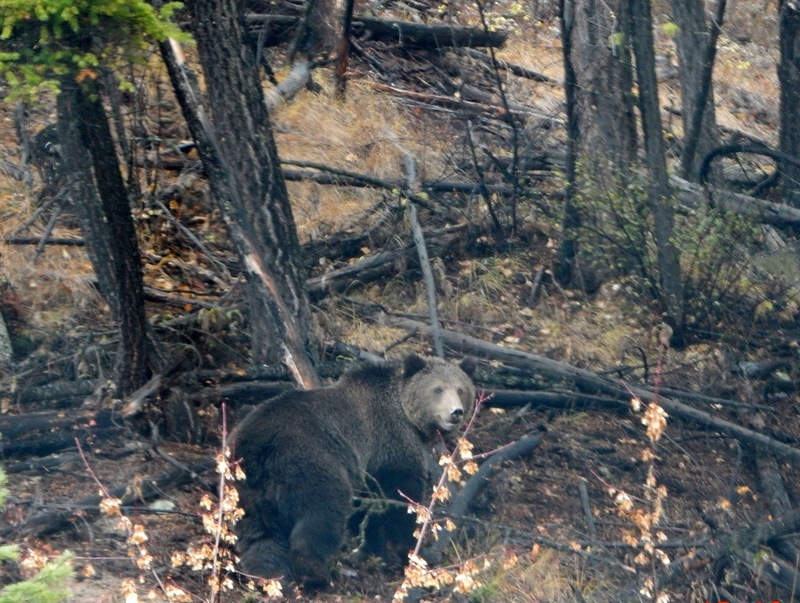 I was riding up to one of our camps with the guide school when we spotted a black bear eating berries. The bear was definitely aware of our presence but didn’t even look at us or move. The horses are used to grazing in the meadow in the mountains with them so the don’t care either. The bear was only about 150 lbs., was so cute and seemed so harmless. I went to get closer and take some good pictures to show my mom. However, the horse didn’t like the idea of getting closer to the bear. And that was probably a good choice. I just had to stop and think about the situation. This animal can kill me and my horse in under a minute with its eyes closed. Being in the bush with such a smart and dangerous animal as the bear is something I had to get used to. Not leaving any kind of food anywhere, always carrying some kind of bear protection, like a gun or bear spray and always have a fire going to keep the curious ones away. Responsibility was also something I had to get used to. I used to work in a supermarket in Denmark, where I thought I had a lot of responsibility, I was wrong. Taking responsibility in the bush is so much different compared to a supermarket. If you fail taking responsibility, you fail your coworkers and yourself. Especially here in the bush where there is no ''plan b''. If you screw it up out here, you can’t call your mum, not even a ambulance or any other kind of help. You have to figure out everything by yourself and take responsibility for your actions.